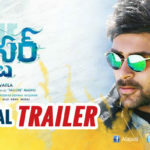 The first look teaser of Varun Tej and Srinu Vaitla’s Mister is out at the end of the year and is very refreshing. The film story based on romance and comedy backdrops has Hebah Patel and Lavanya Tripathi in the female lead roles. The story is penned by Gopi Mohan. The music is going to be composed by Mickey J Meyer where as Nallamalupu Srinivas and Tagore Madhu are producing this movie. Yuvraj of Krishnagadi Veera Prema Gadha fame is handling its DOP. Varun Tej is depicted in a stylish avatar as Hebah Patel, nothing but sizzled at his side. Lavanya, on the other hand played the role of a village belle, going by the teaser. The movie has an interesting line Manam premanu vethukunte velthe, Preme manalni vethukuntu osthundi, which is catchy. With simple yet appealing design, the poster that was released recently also has created a buzz for the movie. 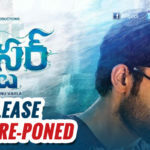 Sreenu Vaitla claims that Mister is going to be a different genre film from him after a long time. Going by the looks of the teaser, Sreenu Vaitla seems to have tried out something different from his usual template. Mister is targeting at April 14, 2017 release as of now. With Sreenu Vaitla at the helm one would have expected to see a teaser filled with punch dialogues and hero elevations. But Sreen Vailta has surprised by releasing a feel good teaser with romantic moments. The promo shows him changing gears but the same was promised with his last venture too but nothing actually changed in it. 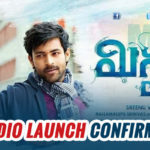 Let’s hope this time its different for both the director and also Varun Tej’s sake.